The game failed to load error? Hello, this is my first time writing here. I've been using this version of the game for years and I never had a problem. This time though, I'm getting an error. I just downloaded the last expansion pack, Strangerville, I had the game updated up until Strangerville, i wasn't sure I wanted to get it so I waited a bit. So, I just replaced the folders of the game with the ones in Strangerville like I always do, I opened my game, loaded a save file, clicked on one of my lots (I wanted to build a house) and I get this: "The game failed to load. 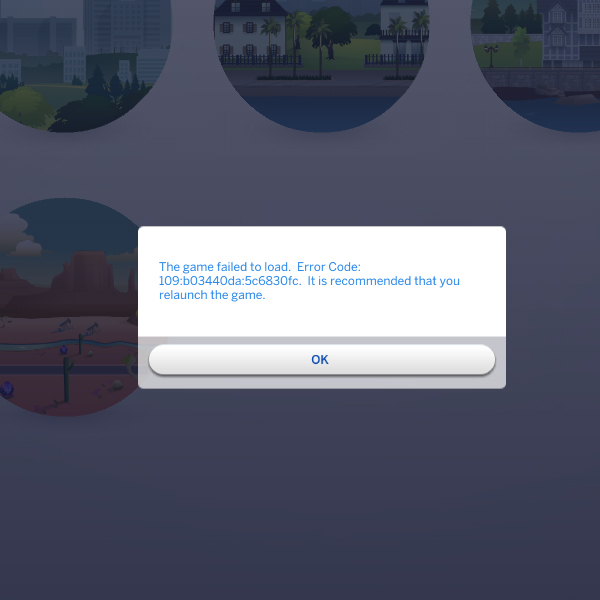 Error code: 110:b0344da:2e3b39.f It is recommended that you relaunch the game" so I basically can't do anything except creating sims. I even tried to click on an empty lot, created a random family, moved them into the empty lot and clicked to play with them. Nothing, still same problem. I tried with a different save file, maybe the one I was trying to load was corrupted or something, nope, still same problem. I tried starting a new game instead of loading an old one, nothing, same problem. Also, the error code changes everytime I try to load my game. The first time I got the code that I wrote before, but in the screenshot you can see a different error code. Do you have any suggestions on how I could solve the problem? p.s. I hope my english is okay, it's not my first language so please forgive me if I made any mistake. Re: The game failed to load error? @anadius wrote: Go to Documents\Electronic Arts and move The Sims 4 folder to desktop. This will start the game fresh, you can move saves back later. If that doesn't solve the problem, run the validator and post the result here. That actually helped a lot, thank you! But now I have a new problem... I moved everything to the desktop as you told me and I just moved my saves back in when I was sure the game was properly working. So I went to add all of my mods. The thing is, I had all of my cc and mods organized in sub folders and I never had a problem with that, but now it looks like the game can't detect the CC in the subfolders. I tried to make them work by using the TS4 Mod Manager but that didn't help at all. What I could do is take everything out of the folders but... I have 7000+ cc, that would be A MESS. This allows your CC to be 5 folders deep and still work. Yup, it's there and everything's fine, the code it's the same. Enable custom content in options then. @anadius wrote: Enable custom content in options then. I already did that. I enabled custom content and script mods. 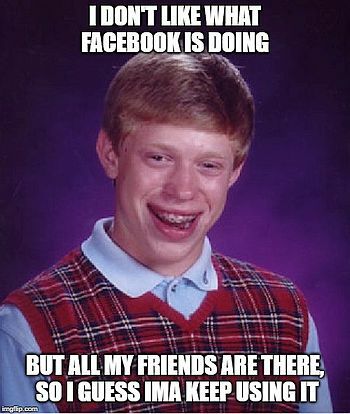 I'm not a computer whiz but I know that much, lol. When I load a household I get the message that some items where removed because I may not have them in my computer or something like that. But I do have the cc, it's just in sub folders that for some reason are not being detected. I'm asking because I already enabled everything I had to enable and I checked the resource.cfg file. I also tried to delete the "The Sims" folder in Documents/Electronic Arts, moving then all the CC back in. That also didn't work. So does the CC work or not? Are your sims bald and naked? It could be some CC that you deleted previously, forgot about it, but it was still in cache. And now after doing what I said your cache is cleared and the game can't find it.